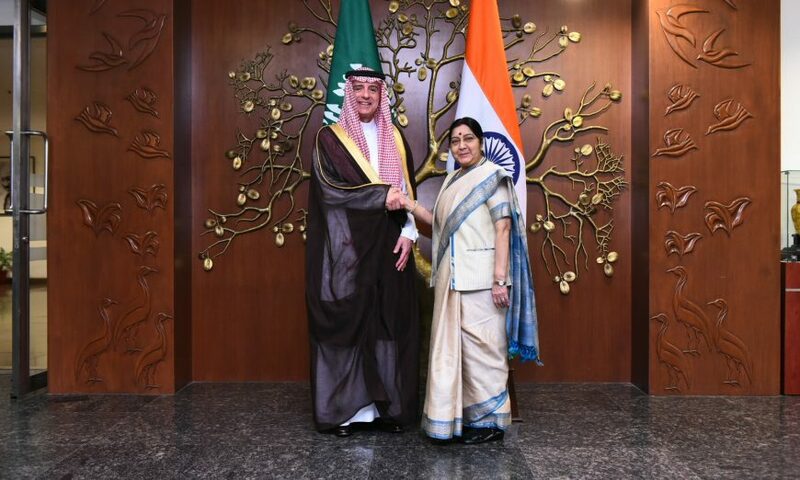 New Delhi: Minister of State for Foreign Affairs of the Kingdom of Saudi Arabia, His Excellency Adel bin Ahmed Al Jubeir paid an official visit to India on 11 March 2019 as a follow up of the visit of His Royal Highness the Crown Prince of Saudi Arabia last month. H.E. Mr. Adel bin Ahmed Al Jubeir, Minister of State for Foreign Affairs of Saudi Arabia called on Prime Minster Shri Narendra Modi today. Mr. Al Jubeir conveyed greetings of His Majesty King Salman bin Abdulaziz Al Saud and the Crown Prince Mohammed bin Salman to the Prime Minister. The Prime Minister warmly reciprocated the wishes.The Prime Minister thanked the leadership of Saudi Arabia for expressing full solidarity with India in the fight against terrorism in all its forms and manifestations. It was agreed that Saudi Arabia and India should work together for irreversible, verifiable and credible steps against all terrorists without any discrimination. H.E. Mr. Al Jubeir briefed the Prime Minister on the follow up of the outcomes of the historical visit of Crown Prince of Saudi Arabia in February 2019. Both the countries have taken significant steps including to boost trade and investment and to achieve USD 100 billion investment from Saudi Arabia into India, which was announced during the visit of the Crown Prince. 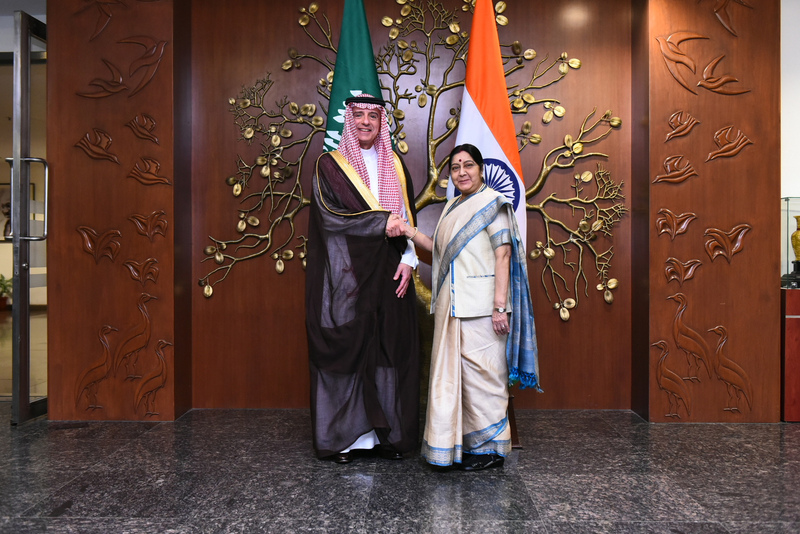 Later, Minister Al Jubeir met and held discussions with External Affairs Minister Smt. Sushma Swaraj on the entire gamut of bilateral relations. They took note of significant developments after the visit of His Royal Highness to India. EAM reiterated that an immediate irreversible and verifiable action to dismantle terror infrastructure is essential to fight the menace of terror. It was agreed to set up the Strategic Partnership Council at the earliest. The gesture from Saudi side to increase the Hajj Quota to 2,00,000 and Royal pardon to 850 Indian Prisoners was highly appreciated. India and Saudi Arabia enjoy warm, close and multifaceted relations underpinned by historic, cultural, religious and economic linkages which stand elevated to Comprehensive Strategic Partnership. Saudi Arabia is India’s fourth largest trading partner and second largest supplier of our crude oil needs.